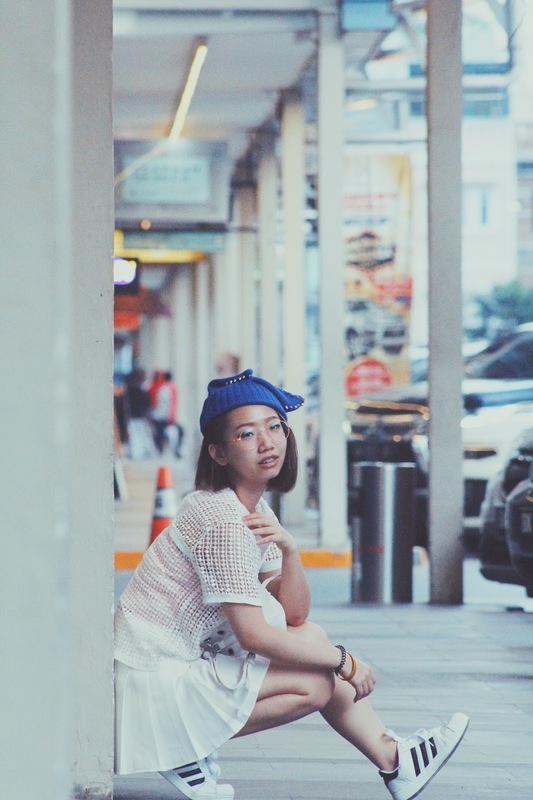 Photographed by Melisa Kwok, Edited by Cinthy Kwok. 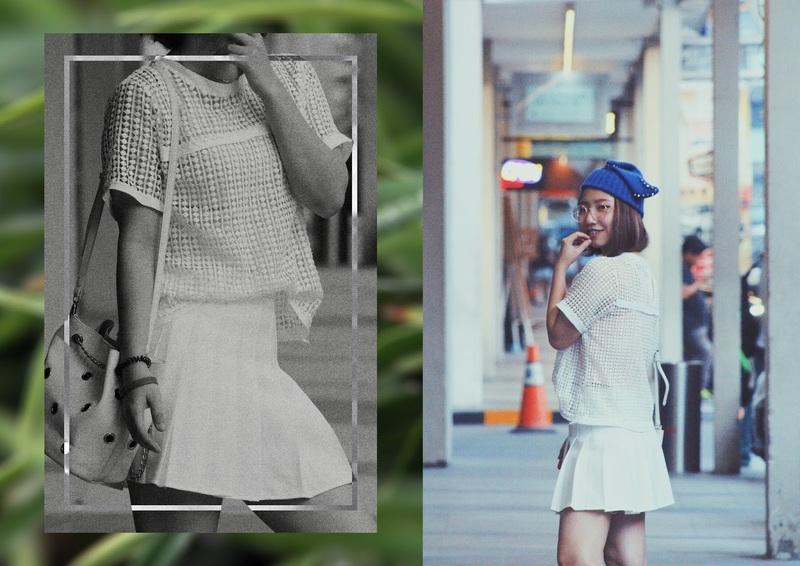 Being contrast to my all-black outfit before, this time I was wearing the all-white outfit while attending Sophie Paris' Medan branch opening last Saturday (read here). I am a casual girl who put on pants daily but trying to stay girly at times. Staying girly with a little bit of sporty feels, while looking like a badass at the same time is what I want for my outfit concept and that's how this outfit idea popped out of my mind. 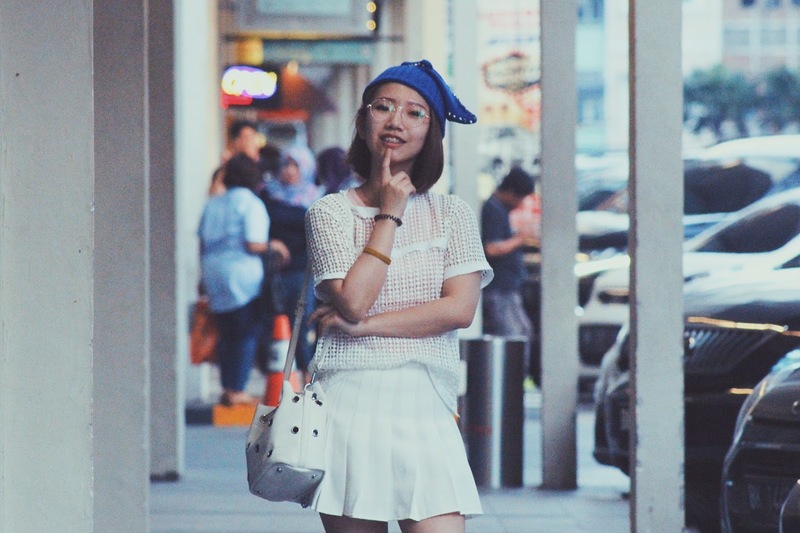 And just like last time, I paired my all-white outfit with my royal blue colored cat eared beanie which I haven't wear in years, so my outfit won't look too pale. If you followed my Instagram, you should know well that I am a maniac of minimalism. Well, coming to the end, how do you think about my minimalism-girly with a little bit of sporty look, and how would you style yours? Feel free to share your thoughts below. Thank you for paying a visit, Kate! I hope you have a fabulous weekend, x.
I love the all white! The detailing on the top is great. Love the white on white with the pop of blue! This mesh top is so cool! Love the entire look. What a cool look. I your top and your style. This tennis skirt is super cute - I love how you ave added the blue beanie and the Adidas shoes with blue stripes. What a great look! Love the all white! I'm such a sucker for pleated skirts! I love the whole outfit!! Great post! Such a cool look babe! Great pics too! I adore the pop of colour with the blue hat! In love with this all white look! This look is so cute! Love your hat. Loving the outfit, so adorable! These photos are amazing and I love ypour outfit! This mesh top is so cool, Love the styling ! What a cute and stylish outfit, babe! I love the mix of details here, which hep to liven up the monochrome. Thanks for sharing and I hope you're having a great week so far! I love your take on the minimalist style. That is a cute top on you! Love this all white minimalistic look! You look so lovely with the outfit! This look is gorgeous and I love your top! Your photos always look so amazing!! I love the sporty minimalism! looks amazing on you! I really like your outfit :). It's definitely sporty and girly at the same time. You look absolutely super gorgeous! Thanks for being an inspiration! Love this look the shots are beautiful! I love your style Cinthy, so unique and love the sporty vibes!